NASHVILLE, Tenn. (February 1, 2016) – Iconic duo and international sensation, the Bellamy Brothers, continue their 40th anniversary tour with more than 50 dates in the U.S. as well as dates in Switzerland, Germany, Norway and Sweden, just to name a few stops. The successful second leg of their tour coincides with their new album “40 Years: The Album,” a compilation of past hits and new songs, which also benefits Susan G. Komen by donating $1 of every U.S. iTunes download to fund breast cancer research, education and community outreach programs. "There always seems to be heightened awareness during October, but we wanted to do something throughout the other 11 months of the year,” David Bellamy said. "We're doing a year-long [campaign] with 'Let Your Love Flow' for their website, and we're donating a dollar through iTunes for the next year off sales of this album." 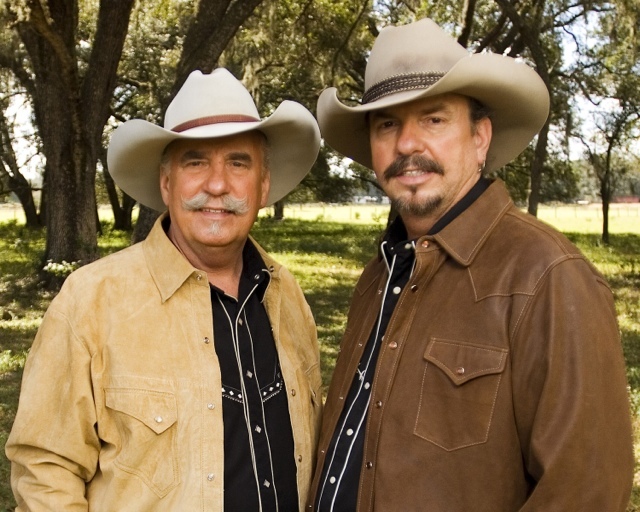 The Bellamy Brothers will also host Country Classics, a video countdown featuring videos and interviews from the 90's and 2000's, Jan. 11 through Feb. 7 on The Family Channel, Angel Two Network ( Dish ), AMG TV and Heartland TV. Check your local listings. Feb. 06 Orange Blossom Opry- Weirsdale, Fla.
Feb. 12 John T. Floore’s Country Store- Helotes, Texas. Feb. 13 Karem Shrine “Love to the Rescue”- Waco, Texas. Feb. 27 Matagorda Co. Fair and Rodeo BBQ Cook Off Rodeo Arena- Bay City, Texas. April 23 Private- Austin, Texas. April 28 Steiner Ranch Steakhouse- Austin, Texas. April 29 House Of Fi Fi Dubios- San Angelo, Texas. April 30 Redneck Country Club- Stafford, Texas. May 06 Hank’s Texas Grill- McKinney, Texas. May 07 Freiheit Country Store- New Braunfels, Texas. May 14 Music City Texas Theatre- Linden, Texas. May 27 Silver Saloon- Terrell, Texas. Oct. 08 Red Barn Convention Center- Winchester, Ohio.